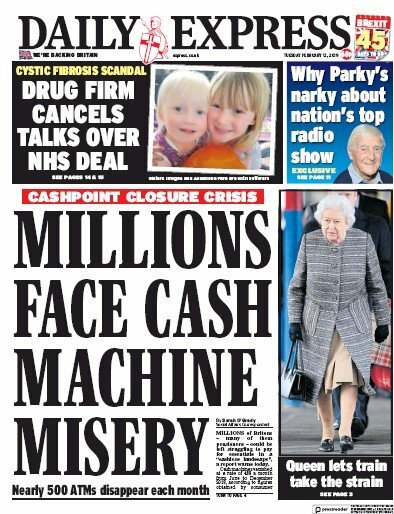 PROFILE: The Daily Express is a British daily middle market tabloid newspaper. Founded in 1900 it is the flagship title of Express Newspapers and is currently owned by Richard Desmond. With the exception of the 2001 general election, when it backed the Labour Party, the newspaper has declared its support for the Conservative Party at every general election since World War II. The paper is also a strong critic of Britain's membership of the European Union. Profile extracted from Wikipedia and used under the Creative Commons Attribution-ShareAlike License. Circulation: 635,576 (April 2011) Political Outlook: Right-Wing, Pro-Conservative, Eurosceptic See our UK Newspaper Guide. Daily Express newspaper from UK is available through PressDisplay.com where you can browse and read hundreds of full content premium newspapers and magazines from around the globe. With a subscription to PressDisplay.com, users gain access to full print versions of newspapers on the day they are published.